who drive their Availability, backup and recovery strategies. Learn more about all the new features coming in Veeam® Availability Suite™ 9.5 Update 4! Hear from Veeam experts across business, technical, cloud and lab sessions all over again! Get access to our resource center! VeeamON Virtual is a unique online conference designed to deliver the latest insights on Intelligent Data Management…to the comfort of your own office. Annually, VeeamON Virtual brings together more than 2,500 industry experts to showcase the latest technology solutions providing the hyper-availability of data. If you couldn’t attend VeeamON Virtual, or just want to relive the experience, you can access the best of the conference any time from the comfort of your desk. Learn how to extend your Hyper-Availability of data to the multi-cloud World, including Veeam Availability Suite™ 9.5 Update 4 coming soon! See the latest cloud innovations on how to back up Azure, AWS and Microsoft Office 365! Enter for a chance to gain access to the Veeam Availability Library! Join Veeam Senior Vice President David Grant and Dave Russell, Veeam Vice President of enterprise strategy, for their discussion of 2019 predictions, Digital Transformation, Hyper-Availability and so much more. Today’s modern enterprise faces the dual challenges of not only managing and mining the data they produce and use, but also ensuring that the digital experience is Always-On™ for both internal and external customers. Join us as we discuss how data must move to a new state of intelligence, automatically anticipate need and meet demand across multi-cloud infrastructures. In this session, former industry analyst and current Veeam product strategist Jason Buffington will discuss recent industry research related to SLA expectations in the real world and the Availability, protection drivers and mechanisms being sought in 2018. This session will focus on understanding the problems and IT industry imperatives, as well as the operational, economic and intangible challenges of not addressing these issues head on. Cisco and Veeam® have joined forces to bring you Hyper-Availability by delivering solutions to secure, back up and recover your data wherever it resides. This new solution brings together the power of Veeam Hyper-Availability Platform™ and Cisco's industry-leading hyperconverged infrastructure (HCI) solution, HyperFlex, to deliver an enterprise-grade, highly available Intelligent Data Management platform. Come and find out more about what the power of Cisco with Veeam means for your business. As you consider adopting a hyperconverged infrastructure to consolidate workloads across your virtualized environment, are you confident that your current backup solution can deliver the non-stop Availability your business requires? NetApp HCI and Veeam enables workload consolidation through predictable performance and Availability for all business applications while also simplifying IT, increasing agility, lowering costs and improving ROI. Veeam Backup & Replication™ is a flexible and dynamic product. As each update is released, new features become available as well as improvements to performance and operation. This session will take you through the basics of Veeam best practices and how to maximize your product to get the most of your investment. Choosing the right product is important but knowing what will work best for your individual environment is always a priority. Redefining cloud data management for on premises, AWS, Azure Stack and IBM Cloud, plus much more! Join Veeam Global Technologist Michael Cade as he provides a detailed presentation on what’s new with NEW Veeam Availability Suite 9.5 Update 4. Join us for VeeamON Virtual on Dec. 5 to learn more about the latest breakthrough technologies introduced by NEW Veeam Availability Suite 9.5 Update 4! Traditional DR tools were often just written-down lists or an item that allowed for manual testing and management of start order. However, with Veeam Availability Orchestrator, you get something different, new and exciting. Veeam ships a variety of application specific testing scripts and provides you with the option to add your own. This means automated testing becomes possible and quite useful. In this session, you will see how this works. You will see automated DR testing of SQL Server as an example of what is possible. For many years, Veeam was a virtual-only product. However, nearly all organizations rely on some form of physical hosts for important business applications that cannot migrate from the physical world for various reasons. This made total protection difficult. With Veeam Agents, you can now protect your physical estate to the same level as your virtual estate even from the same console to simplify administration. The best part of innovation is the ability to back step. Veeam Agents support capabilities in the virtual world for instances where virtual protection alone was not enough, simple disaster recovery for physical into the virtual world or to the cloud. VeeamLive will discuss Veeam Agents, how to choose the right product for the right job, and the advantages of using a single tool and single pane of glass for your protected business. In 2017, Quantum announced the first and only inline deduplication appliance that fully supports Instant VM Recovery®, which is synthetic full-backup creation. This year, we improved our integration with Veeam’s solutions through the Veeam Availability Suite™ 9.5 Update 4 launch such as NDMP support backup to tape. We also included Quantum in the Veeam drop-down list for ease of integration. Join this session to know more about our data protection approach and the application of the 3-2-1-1 strategy by one of our customers. Restoring data from protection copies is a major challenge today, especially for large databases. Pure Storage and Veeam have teamed up to provide a solution that enables 40x faster restore performance than traditional deduplication backup appliances and also can simplify the data protection environment by allowing IT staff to consolidate Tier 2 infrastructures. 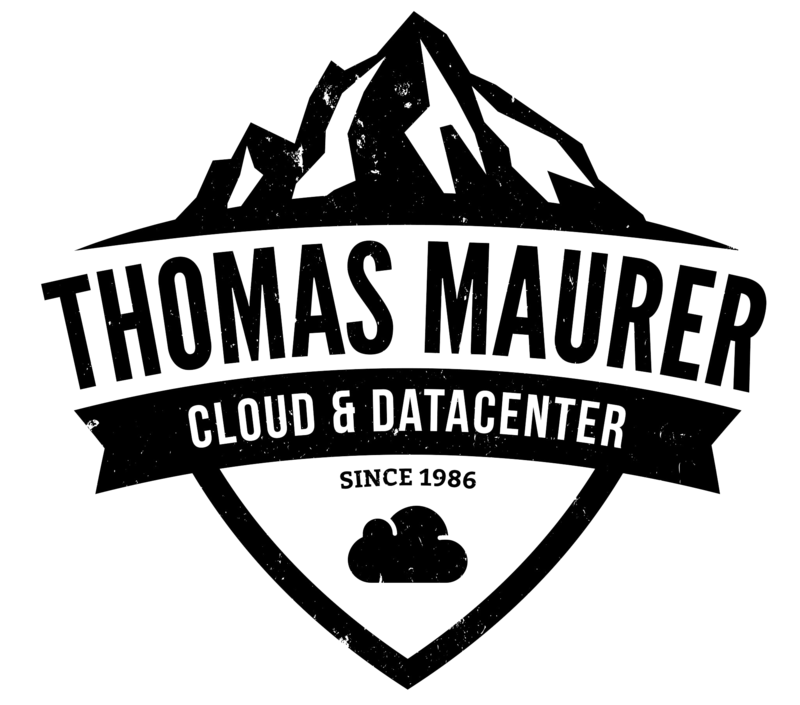 Protecting your data in AWS is your responsibility! Amazon provides a durable infrastructure and the tools necessary to orchestrate backup and DR plans, but it is up to YOU, the end user, to make sure that these plans are in place and can be executed if necessary. Attend this session and learn everything you need to know about how to protect critical data and workloads in Amazon Web Services. We also demonstrate how to automate backups and recover quickly with N2WS. Enterprises and small businesses alike are using Microsoft Office 365, yet very few fully understand the importance of protecting Office 365 data. Microsoft Office 365 eliminates the need to host your own email, files and content management infrastructure. However, it doesn’t replace the need to have a backup of your business-critical data. Learn about how Veeam and Nutanix combine to bring Hyper-Availability to the modern data center. Designed to complement native Nutanix disaster recovery (DR) and High Availability (HA) capabilities and minimize data loss, Veeam backups integrated into native Nutanix snapshots allow for efficient backups of AHV virtual machines (VMs) without agents. In this session we will walk you through the deployment, management and monitoring/restore process of Veeam Availability for Nutanix AHV. The confirmation email with the link will be sent to you shortly. Download this whitepaper to learn the steps needed to prepare for GDPR and avoid further penalties. Take a look at how Hyper-Converged Infrastructure solutions can help organizations do more—with less— to become digital businesses and better serve the needs of their customers and business stakeholders. Download this whitepaper to expand your knowledge about ransomware data protection and how to strengthen the security against any attacks! Find out most common disaster recovery challenges and how to solve them with New Veeam Availability Orchestrator - a highly-automated and resilient orchestration engine. Webinar: "Veeam automation: Boost your productivity!" In this session Russell Nolan, Enterprise System Engineer, will show you how Veeam® enables enterprise customers to do more with less. The EU GDPR that comes into effect across the European Union on May 25, 2018 is the most important change in data privacy regulation in 23 years. 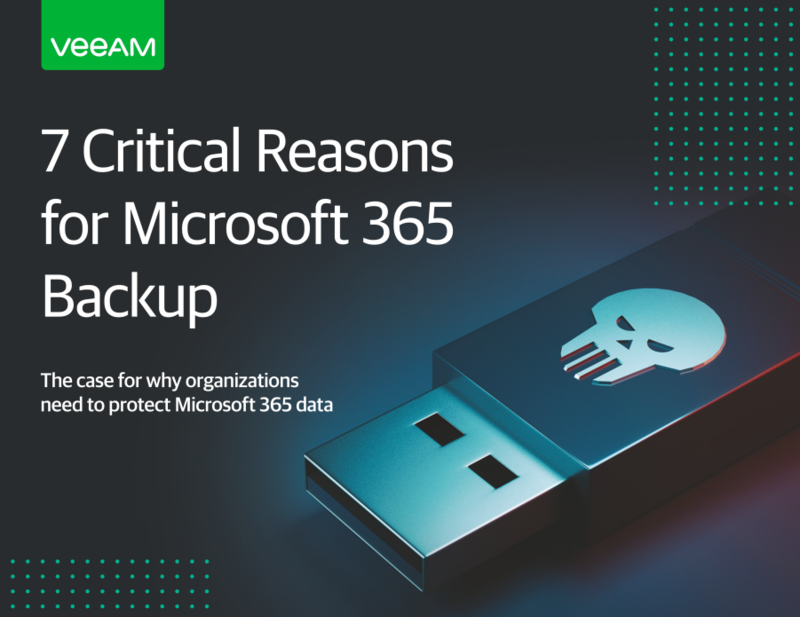 Learn 6 critical reasons why organizations need to backup Office 365 data. Find a backup solution and gain complete control of your Office 365 data to avoid the unnecessary hazards of data loss. Download this whitepaper and learn how to harden the security of your Veeam Availability infrastructure against attacks by eliminating as many risks as possible. This webinar will answer all these and many other questions providing best practices based on our internal research and proved by clients with formidable virtual and backup infrastructures. Watch this recorded webinar where Michael Cade, Veeam technical evangelist, shared his experience and discussed best and worst backup practices. Learn about the new built-in agent management in Veeam® Backup & Replication™ update 3. Webinar: "Ransomware Resilience: Next level backup repository hardening tips and tricks"
In this session, you will learn the best security practices for protecting your Veeam® backup repository. Additionally, we will show you new features from Microsoft that can take hardening your Veeam backup repository to the next level. Read this whitepaper to learn which are the key factors, features and functions to consider when trying to maximize your multi-cloud strategy success. Read this Solution Showcase to find out how Veeam ensures Hyper-Availability to organizations that are adopting multiple cloud services in order to meet increased agility, innovation and cost management goals. Data Recovery in Microsoft Azure: 4 Reasons Veeam PN makes this easy! Learn how Veeam PN allows you to connect various physical networks into one private company network and prepare for data recovery in Azure. Learn how to eliminate cloud adoption challenges and provide smooth cloud migration to public cloud as a part of your data-protection strategy. Whiteboard: Veeam builds your Hyper-Availability all the way to the clouds! Watch this recorded whiteboard and learn more with Alex Fraser and Nick Furnell about the different options available when using Veeam Cloud Connect and the public cloud to deliver Availability to your organization. Watch this recorded webinar and learn more from Veeam and HPE experts how multi-cloud strategy is driving innovation and change.